Dimensions 1.25 by 8.75 by 11 in. Divorce; Law and legislation; Michigan; Popular works. 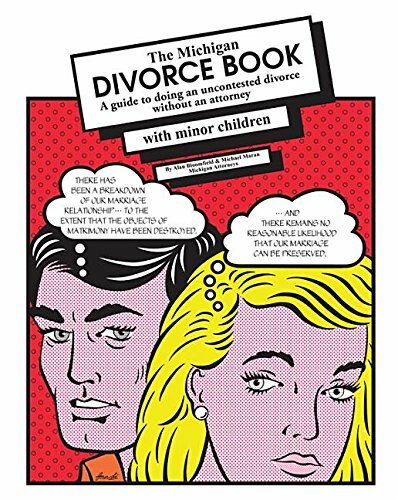 Amazon.com description: Product Description: Now there's a low-cost divorce alternative Ã¢ÂÂ The Michigan Divorce Book. With background information about divorce, step-by-step instructions, filled-in sample divorce forms and blank tear-out divorce forms, The Michigan Divorce Book is a complete do-it-yourself kit for doing an uncontested divorce in Michigan. Can you join the thousands of people who have used The Michigan Divorce Book to do their own divorces without laywers? See Chapter 1 to find out if your divorce is uncontested and whether it's easy enough to do yourself.